The Second album in a new version with 4 bonus tracks! Mastercastle is the new band from Labyrinth guitarist Pier Gonella and sees the introduction of powerful female vocalist Giorgia Gueglio to the scene. 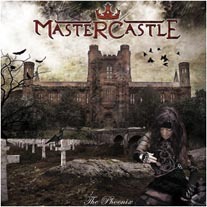 Mastercastle’s debut album “The Phoenix” is a potent slice of metal with neo-classical and traditional metal influences within its ten songs. The guitar work of Pier is sure to please fans of the likes of Yngwie Malmsteen, with its strong riffs and explosive lead work. Giorgia Gueglio vocals are equal to task of matching Gonella’s guitar work with their great power and soaring qualities and also serve in giving Mastercastle their own unique sound. Mastercastle are completed by the rhythm section of bassist Steve Vawamas and guest drummer Alessandro Bissa aka Bix (Vision Divine) who combine to create a solid backdrop for all tracks. The mastermind behind Mastercastle is guitar great Pier Gonella (Labyrinth, Necrodeath, Odyssea), and he has created a fantastic melodic metal band in the neo-classical tradition. Gonella may be the creator, but the beauty, brains (she brought the lyrics: see additional info below), and the star is the mostly unknown Italian vocalist Giorgia Gueglio. Man, can this lady sing! She's sounds like Ann Wilson on steroids, but without the screeching that pierces eardrums. Gonella is awesome on guitar, but Ms. Gueglio steals the show. This formidable combination is only made better by their back up: bassist Steve Vawamas and guest drummer Alessandro 'Bix' Bissa (Vision Divine). Mastercastle's debut is an amazing and nearly flawless listening adventure. I know it's early, but 'The Phoenix' is on my short list for metal album of the year. My kudos to Lion Music for signing this one! Except for some slight downturns into a standard power metal motif within several arrangements, every song on 'The Phoenix' is well-crafted, soaring and excellent melodic heavy metal. Again, as I mentioned above, Ms. Gueglio is quite astonishing in her capabilities and delivery. Not to slight any song, her finest performances come on 'Words Are Swords,' 'Princess Of Love,' the truly amazing 'Greed Blade,' and the closing number 'Cradle Of Stone.' Also, Giorgia is genuinely passionate, clear and strong on the metal ballad 'Lullaby Noir.' Where has this gal been hiding? On guitarist Gonella's side, you will find him ripping up the fret board throughout 'The Phoenix,' and so demonstrating his creativity and expertise. His style is neo-classical, but it's not indulgent like, say, a Malmsteem. Instead, Gonella brings the fire without the wiggly verbosity found from other virtuosos within the band context. Sure, on the instrumentals 'My Screams' and 'Memories,' Pier can shred with best, but he never grandstands when he plays lead in the other songs. This is a rare and unappreciated feature for a guitar hero: he can both star alone (as on the instrumentals) and then contribute to the whole with his solos within the songs. The best of which are: 'Words Are Swords,' 'Greed Blade,' the diverse 'Dawn Of Promises,' and the epic 'Cradle Of Stone.' Frankly, I'm thrilled by his performance: it displays both humility and passion. By now you have some sense of my enthusiasm for Mastercastle. Where Gonella and company slip, but only slightly, is when they degenerate into mundane power metal as on 'The Phoenix or 'Dawn Of Promises.' However, on both this is easily overlooked thanks to the strength of the total arrangement, Gueglio's vocals and Gonella's solos. Mastercastle's 'The Phoenix,' featuring Pier Gonella and vocalist Giorgia Gueglio, is simply fantastic. This work is a perfect mix of outstanding vocals, brilliant neo-classical guitar, vivacious arrangements, and a solid rhythm section to create exciting and memorable melodic heavy metal. Very highly recommended: buy this album now! 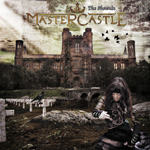 Mastercastle are a brand new band featuring Pier Gonella of Labyrinth and Necrodeath on guitars, Giorgia Gueglio on vocals, Steve Vawamas on bass and guest Alessandro Bissa of Vision Divine fame on drums. Their debut album, The Phoenix, is a very good slice of power/neo-classical metal along with traditional melodic metal elements. As you might expect this is a very guitar driven album and Gonella is up for the challenge. From acoustic flourishes, melodic leads and chunky rhythms, Gonella demonstrates skill and precision. Perhaps the strongest performance here are the lead vocals of Gueglio. She has a very nice tone and excellent pronunciation of the English language which is a definite plus. She does exhibit a slight Italian accent but it does not detract from her singing whatsoever. Her accent is more pronounced in the one spoken word segment. Whether performing dramatic power ballads or harder edged power metal Gueglio's voice is ideally suited for the metal genre and is one of the best new singers I have heard in a while. According to the promotional material the album's running theme is human nature, quite a broad topic to be sure. Since the lyrics were not provided I will not comment directly, however the words flow nicely together, with nothing seeming out of place. Most songs are up-tempo melodic/power metal rockers that contain the necessary crunch needed to drive these ten songs. Although there are some nice guitar solos scattered throughout this is far from a shred fest. While not overtly over the top, the guitar playing is very well done, providing many tasteful and melodic leads. The album begins in true power metal fashion with the fast and heavy "Words are Swords" but never forgoing melody in the midst of the heavy riffs. Gueglio's voice is very strong as it is throughout the entire disc. Watch out for the tasty lead when the frantic pace briefly slows down. The melodic metal anthem "Princess of Love" with its slow burning tempo and really catchy chorus is another winner. The slower pace allows for more atmosphere especially in some of the guitar parts. "Space" mixes power and traditional metal and makes for another fine offering. Again the pace slows allowing the crystal clear voice of Gueglio to shine. The instrumental "My Screams" features rapid guitar runs and some effective string bending creating some cool effects. The beautiful power ballad "Lullaby Noir", provides a nice change of pace, but even it has some lightning fast leads. This was a nice surprise, and considering this is a debut album, very well done indeed. If you are a fan of strong female fronted bands and appreciate the melodic/power metal genre this should be a safe purchase. 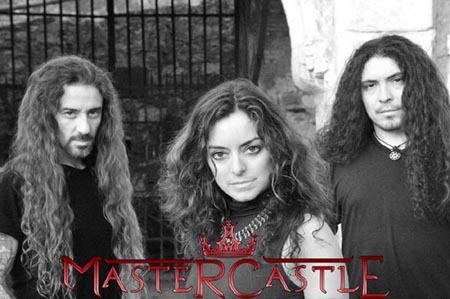 Mastercastle was formed in January 2008 as a project of the guitar player Pier Gonella (Labyrinth, Necrodeath,Odyssea) together with the singer Giorgia Gueglio. The pair have had several music projects in the past and wanted to try something different. No fixed genre was chosen with the emphasis being on producing music in a natural way. The result was a natural mix of the virtuoso guitar style of Pier with the individual female voice of Giorgia Gueglio which worked well together. The pair wrote a great number of songs and then chose 4 to record for a promo to gain label interest. The first musician contacted to help complete the demo was drummer Alessandro Bissa(Vision Divine). Having also worked in the past with Pier and Giorgia, Alessandro’s arrival changed the initial project into a real band. The line up was completed by bassist Steve Vawamas and the name Mastercastle was settled on for the new band who went on to complete the recordings of the four song demo. In July 2008 they sent four tracks to Lion Music who offered a deal which lead to the release of Mastercastle’s debut album The Phoenix , April 19th 2009.